A perfectly even, flawless complexion. 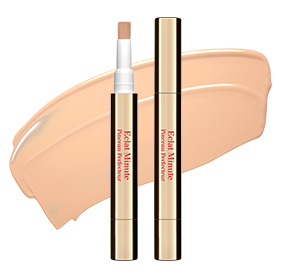 Long-lasting coverage for 18 hours*. Perfect skin, ideal hold whatever the circumstances. This new generation formula offers a perfect complexion morning to night without creating a mask-like effect. 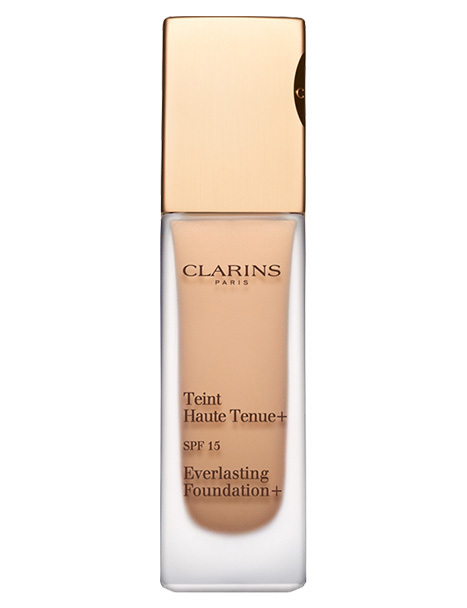 This foundation is light yet offers impeccable coverage, correcting blemishes and small imperfections. Also offering total comfort for the skin. • 18 hours* of long-lasting wear: mattifying bamboo powder is combined with the technology of the High Fidelity System+ to offer long-lasting wear that stands up to even the toughest conditions. • 18 hours* of comfort: organic quinoa extract preserves the skin's suppleness and helps support the moisturizing action of the PLANT MICROPATCH. 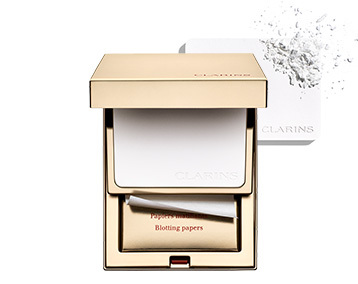 + Triple anti-pollution, anti-radical, anti-UV protection, exclusively offered by Clarins. *Satisfaction test carried out with 60 women. All-day flawless coverage is here. 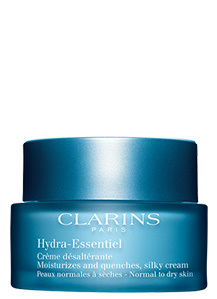 A radiant finish thanks to the Light-Optimizing + complex, which captures light and diffuses it on the skin’s surface. A fine, imperceptible texture that lets the skin breathe. 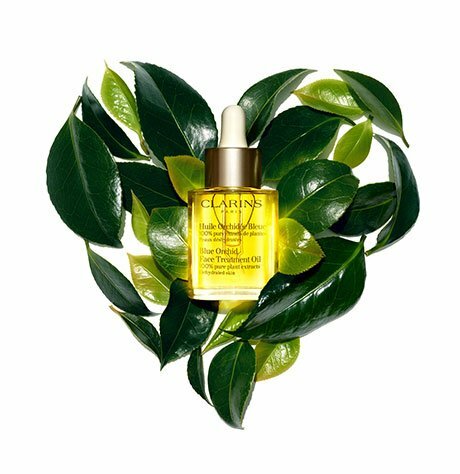 Organic quinoa extract combined with the PLANT MICROPATCH helps maintain the skin’s hydration. For a perfect complexion and supple skin. Anti-pollution, anti-free radical, and UV protection to protect the skin’s beauty day in and day out. Beauty consultant and founder of The Matte Project, which promotes diversity in make-up. Like to keep your days jam-packed? Keep your foundation intact from morning to night – it’s totally possible! Rated 3 out of 5 by geordie 9 from colour not available Everlasting foundation has good coverage without feeling heavy on the skin; covers my age spots well. Unfortunately the colour I bought while in England, Porcelain, is not available in Canada or the USA. The other colours for fair skin seem too yellow or dark. 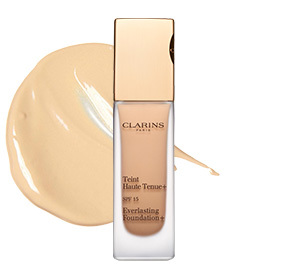 This is the second time a Clarins foundation colour I have used has become unavailable. The last I had used for some years. Rated 5 out of 5 by Paula from Best foundation ever This has been my go to foundation for the last two or three years. I have tried so many and I keep going back because none of the other ones I have had come close to the quality of this one. I use Everlasting Foundation+ in 110 shade honey. I love it and would never change, it has the right yellow undertone that does not make you look red or orange, it really gives a nice healthy color and covers ANYTHING. It lasts too. And even though it has 100% coverage, it does not give you a cakey look which I would hate. This is hands down THE best of the best! Must have! Rated 4 out of 5 by HappyToast from Good coverage I like that I found a nice ivory shade. I feel like this foundation covers well, but I pair it with my Clarins Concealer Stick and then I feel complete! Rated 5 out of 5 by Anonymous from The Most Amazing Foundation Ever I'm a foundation fanatic, and have used just about every top rated foundation on the market. Sometimes I'm pleased, but more often I'm a little let down. 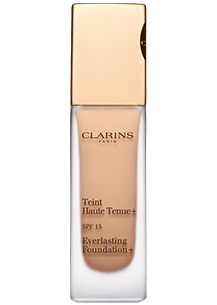 That said, I can enthusiastically state that this foundation is the best I've ever used! The coverage is truly flawless, and the finish seemed luminous as opposed to flat, which can sometimes be the drawback of a full-coverage foundation. It lasted from morning to night with no creasing or separating (I have normal skin) and my pores were erased. Love, love, love this product!